BAM! Bucharest blew me over. Little research had been done on things to do in Bucharest and the blogs I had read on Romania’s capital hadn’t whipped me into a frenzy. I’m here to tell you different. Coined the ‘new Berlin’ – Bucharest is buzzing; the party scene is powerful, yet the scars from the Soviet hold lie just under the surface. Probably the youngest Old Town in the world, Bucharest Old Town is a mere three years old! The aim of the redevelopment of Centru Vechi (the Old Centre, as the locals call it) was to entice locals and tourists alike to enjoy some social drinking while spending a bit of coin. The plan has been successful, this area if jumping! Streets and streets of bars, restaurants, kebab shops, and pumping music, all housed in grand buildings. Warning – local beer, Csíki Sör, is pretty cheap in Bucharest but a vodka comes in at £2.50. A glass of wine is not that far off it leaving a bit of a bad taste in my mouth after a month of 75p wines in Hungary and £1.20 swifters in Slovenia! I can’t travel without it now because they charge speedily (you just use the provided cable and your own phone plug) and it gives our phone a full boost when out and about. I’m actually dumbfounded when I see friends searching for the plugs in cafes, just pop the battery pack and the phone cable in your bag and you can recharge on the go! Open the front door, welcome to the bustle of Bucharest Romania! Solo traveller? 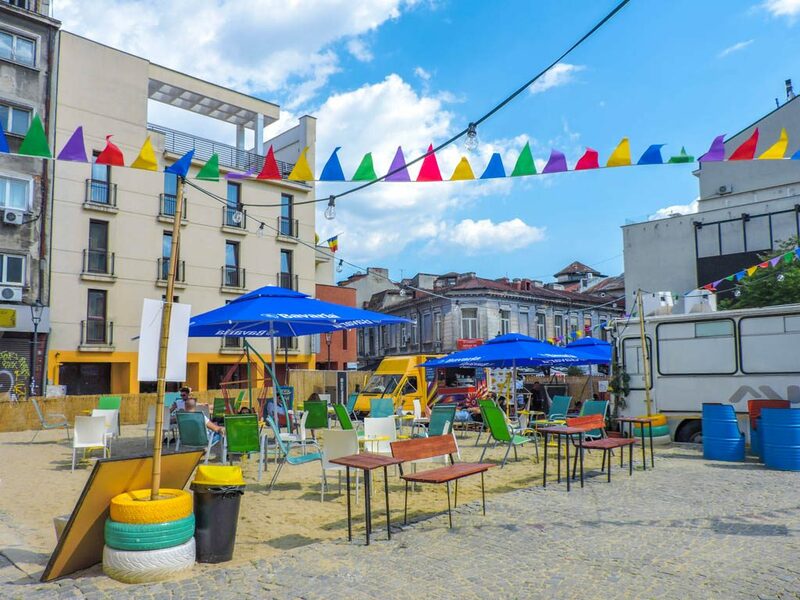 No fear, Little Bucharest also has planned daily events, it’s a social hub, not just a hostel. 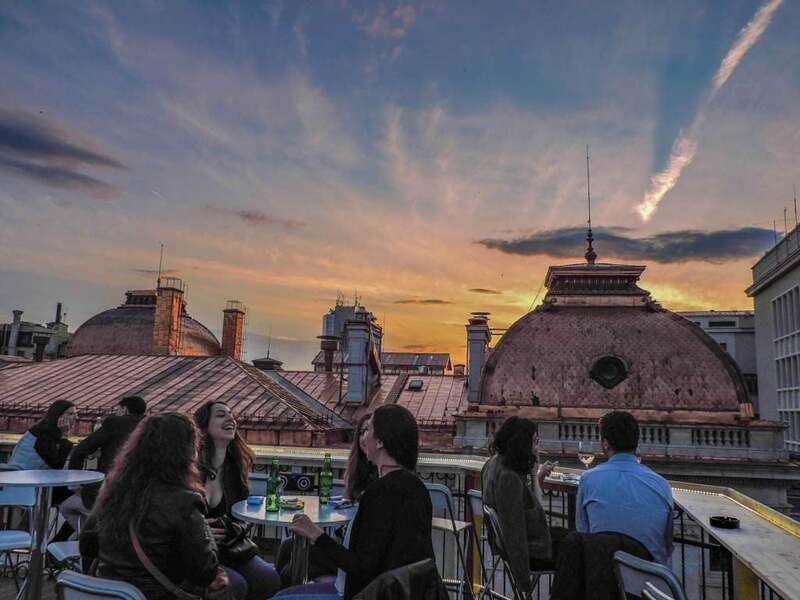 You won’t miss any Bucharest things to do with this social calendar. camera and take a shot of the Old Town from the cafe! One of my favourite things to do in the first couple of days of visiting a city is to take a walking tour. Why? Because it helps me get my bearing (which are shocking for a travel blogger!) 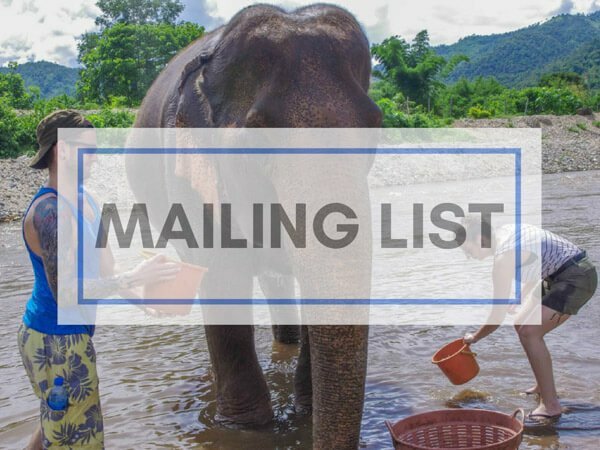 and I can annoy the local guides for insider tips on food, bars and top activities. Bucharest now has a walking tour and it is free. I should note here that free tours in Europe and beyond aren’t actually free, you pay by tip at the end of the tour. This walking tour takes you through the city and 500 years of history from Vlad the Impaler, you may know him as Dracula, to the 1989 Revolution. 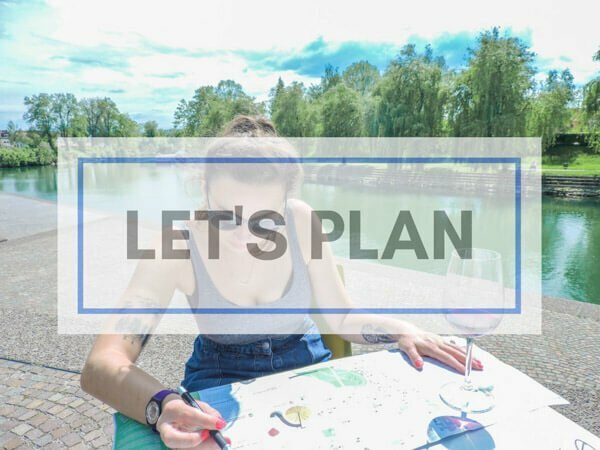 If you are looking for a unique thing to do in Bucharest that sheds a different, realistic light on the city join this tour with a formerly homeless guide. Not only will you learn about the attractions in the Old Town but also the struggles of life on the street. An alternative way to explore while supporting a local NGO and a formerly homeless person with employment. Tours are available in English and Spanish and a street snack is included. Move over Portland, Bucharest’s food carts are in town. Seems like Romania’s capital is stealing the solid North American idea of food trucks with a couple of bars, bands, and bunting thrown into the mix. There are a variety of events held at Food Hood too such as yoga, badminton and record fairs. Go with your belly empty to eat your way around the historic centre of Bucharest with this Romanian food tour. Expect to be full of traditional sausage, Romanian bacon, pork, goats cheese, sweet pepper, sweet cheese pie, plum jam and homemade bread by the time the three hours is up. The food tour also takes you through Bucharest food market to try some of the local delicacies. Tour guests will also receive a liquid gift sourced from Bran Transylvania! Wine tasting is included, sign me up. If you really like food or if you prefer a more relaxed cultural experience check out the Bohemian Maret Tour. 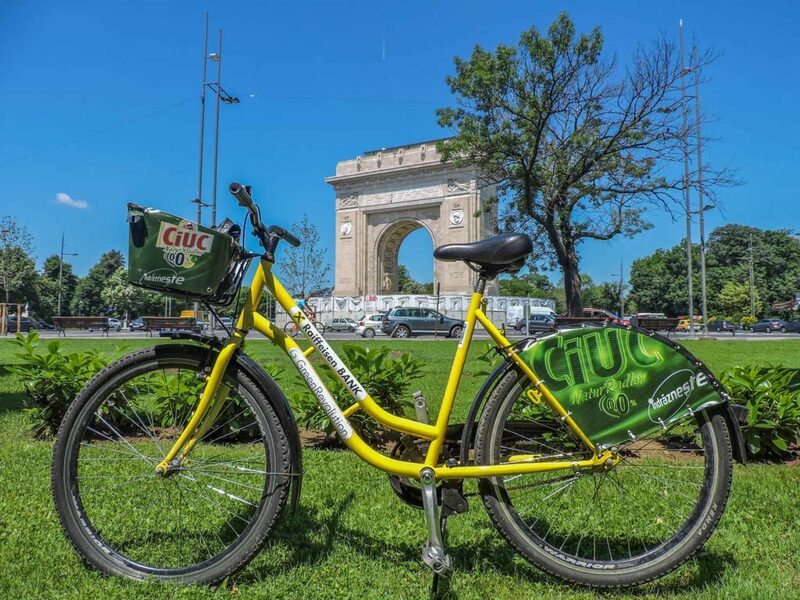 In this tour, you will try the beloved ‘mici’ street snack in Bucharest and local beers from the country’craft breweries. 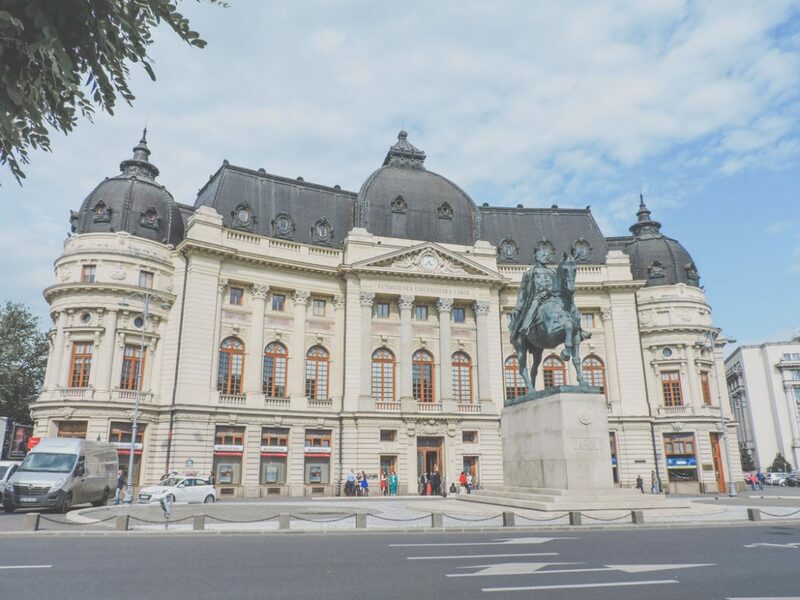 The tour isn’t just about the belly though, expect to wander the streets around prominent sociopolitical spots such as University Square and Strada Batistei. Bucharest is not only an extremely interesting historical city but is actually pretty big. An accessible way to get around all the important places to visit in Bucharest is by bike. Slow Tours Half Day Bike tour meets at 11am every day and guides you around Romania’s Bucharest filling your head with facts about this ‘City of Contrasts’. Our tour guide (and business owner), Mihai, was friendly, funny, and very knowledgeable. 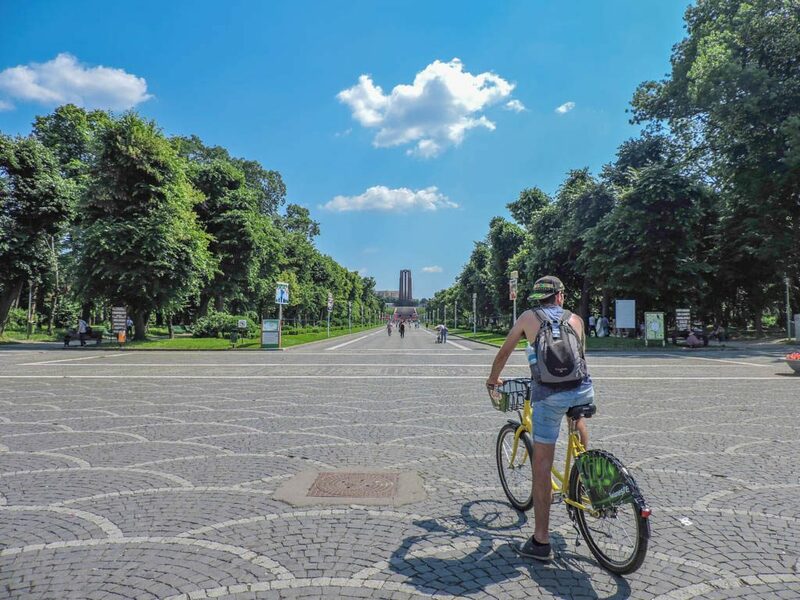 We kicked off our tour at Charles de Gaulle Square, cycling through the impressive Herăstrău Park (see below), then many other green areas (Bucharest has lots! ), past the Palace of the Parliament (see below) to Revolution Square where Mihai shared his researched knowledge (and degree in anthropology) of the 1989 Revolution which resulted in the execution of the then dictator, Nicolae Ceauşescu, who lost his life, along with his wife, Elena on Christmas Day. I know four hours sounds long but time flies when you are working your buns! Mihai not only treated us to stories but also local tips and a scone-like bread snack for lunch, which we ate in the sun. Bliss! 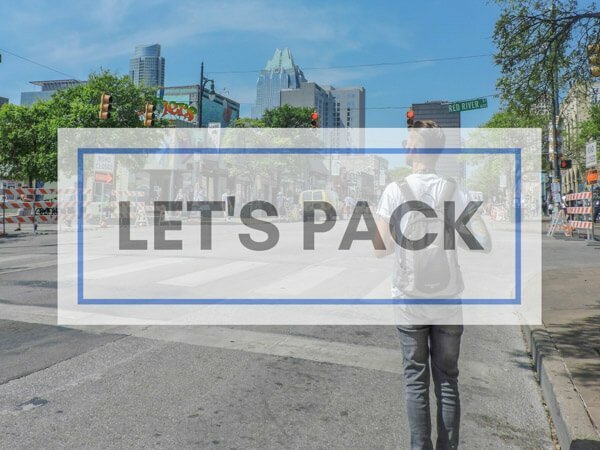 Tip, check out our guide to backpacks, ones with detachable day bags are recommended for day trips like this bike tour. LifeStraw. Bottled water is available in shops, of course, it’s just terrible for the environment. Did you know that Romania has excellent treks? Check out this post on hiking in the Carpathian Mountains from our British blogging friends over at Roaming Renegades. Obviously never travel without insurance regardless of what type of trip you are making. We use True Traveller for insurance, I claimed during our time in Vancouver, Canada and I was happy with the service. See if they are right for you here. Seriously, guys, I am not that fit. I did not cycle to France. Bucharest has its very own Arch of Triumph! This monument was made, speedily, to celebrate the end of World War I. 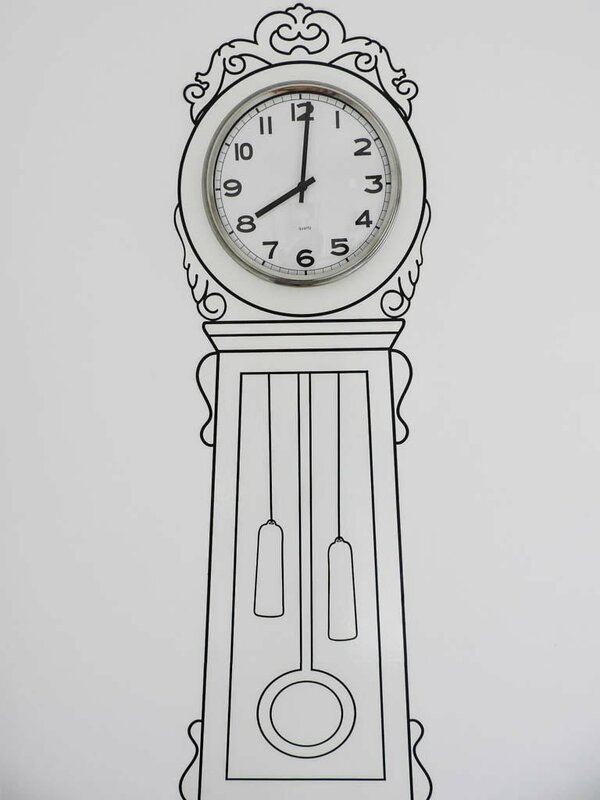 The original design did not last long but was replaced with stone. Unfortunately, there was (and is often) ugly construction around the beautiful Arc. Did you know that Bucharest’s nickname is ‘Little Paris’? Like architecture? Check out Timisoara, Romania. 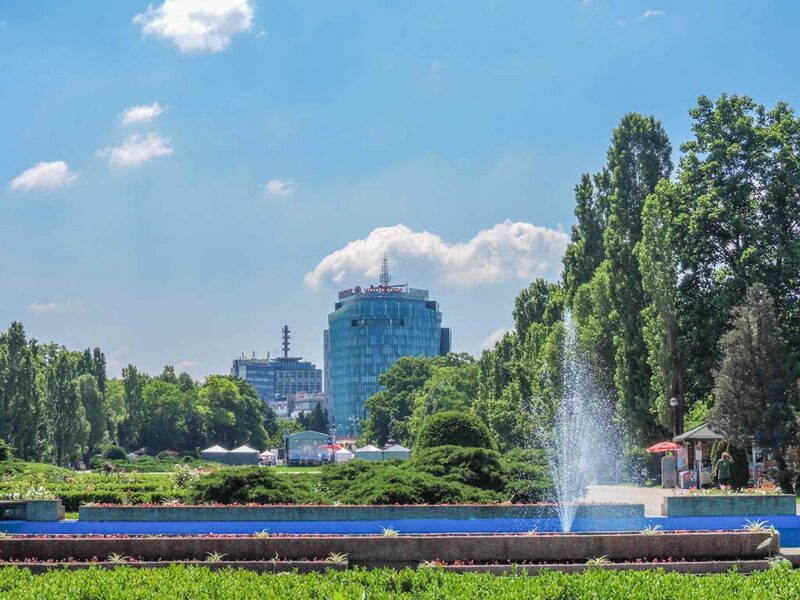 Other green spaces include Bucharest’s Botanical Gardens (Șoseaua Cotroceni 32), Cismigiu Gardens / Grădina Cismigiu (Bulevardul Schitu Măgureanu) and the concrete Carol Park, home to the Monument to the Heroes of the Struggle for Freedom and Socialism (Filaret Hill) – a couple things to do for free in Bucharest. Seriously, this is Bucharest Parliament! I know, this ‘House of the People’ resembles a battleship but this home to politicians is not just any parliament, it is second largest administrative building in the world, after The Pentagon of course! 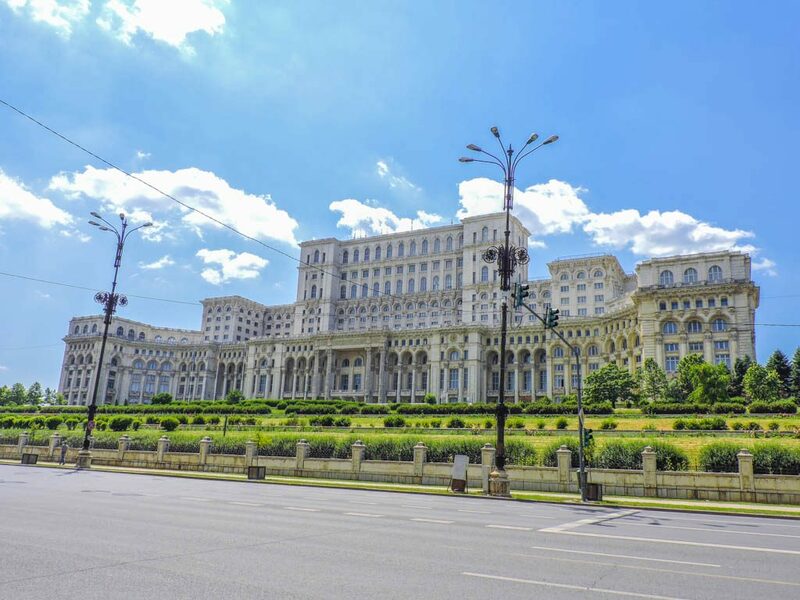 This monstrosity of a building was created by Romania’s dictator, Nicolae Ceauşescu’s, in 1984 (five years later the Romanian revolution would kick off). Visitors can take a tour of the Parliament, (book in advance and take your passport for ID). When you hear that it eventually took 700 architects (initially headed by a young woman, Anca Petrescu) and 20,000 building workers to erect this thing, it’s easy to see why it is one of the top things to do in Bucharest Lonely Planet. Take a look at the bullets on the buildings and you will see proof that Romania has suffered. 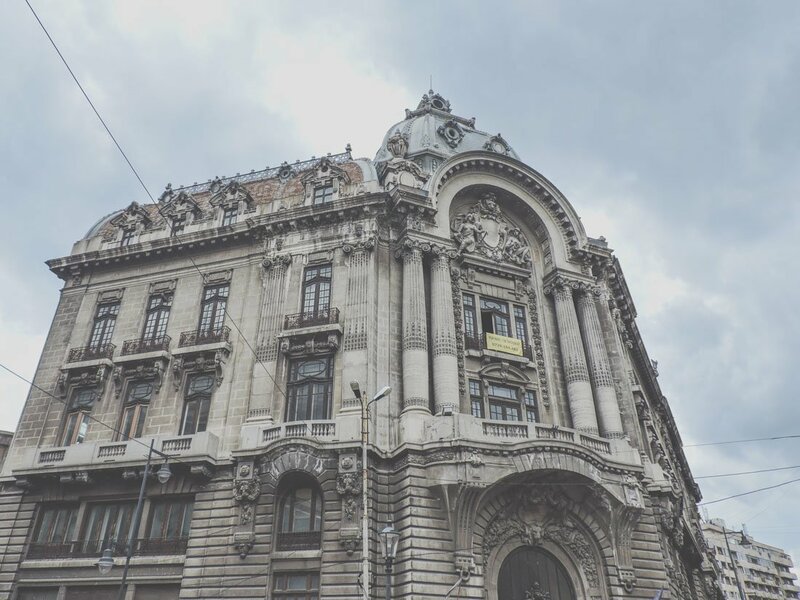 For a long time (according to locals), Bucharest has not displayed its history unlike Sarajevo does extensively. This has changed with the introduction of the Communism Exhibition which takes you through a timeline of events from the stronghold of the Soviets on Romania in 1945 to the withdrawal of the Soviets then the Romanian Revolution / Uprising of 1984. This museum was one of the (many) highlights for me. The Romanians did not have a Tito to keep Moscow at arm’s length like former Yugoslavia did and this resulted in the Red Army ‘protecting’ the country for 14 years. Romania was made a Soviet satellite state, which meant its industries were nationalised and placed under the SovRom title, everything from petrol to media to hospitals to the movies were ‘looked after’ by Joseph Stalin. He even renamed the city of Brasov, ‘Stalin City’ to show who was boss. However, the big industry was not the only aspect of life that communism controlled. Landowners were evicted, many did not go down without fighting, burning their own farms down before the Red Army could get to them. Education was heavily controlled, books were audited, bibles were made into toilet paper – so Romanians were literally wiping their asses with religion (which wasn’t banned, just heavily restricted). Ok, so maybe you could handle losing your house, job, bank account, all for the ‘greater good’ of the Soviet nation but Stalin’s techniques did not tickle. Students, bishops, priests, dissidents (men and women) were arrested and placed in ‘re-education through torture’ programmes. Prisoners were beaten physically and mentally. Boiling gruel was served, prisoners were forced to lie on their stomach with their hands behind their backs and eat with their mouths like pigs. Once tortured to the point of no return, prisoners were made into the torturer – maiming their old friends, no longer a human being themselves- ‘the brutality was boundless’. By 1958, the Soviet tanks were leaving, and by 1965 the liked and then loathed, dictator Nicolae Ceauşescu was in power. This gallery displays, texts, images, and a clever computerised device, to convey what life was like in Romania. Red tourism is very popular in European cities and Bucharest is slowly taking on the demands of its visitors. 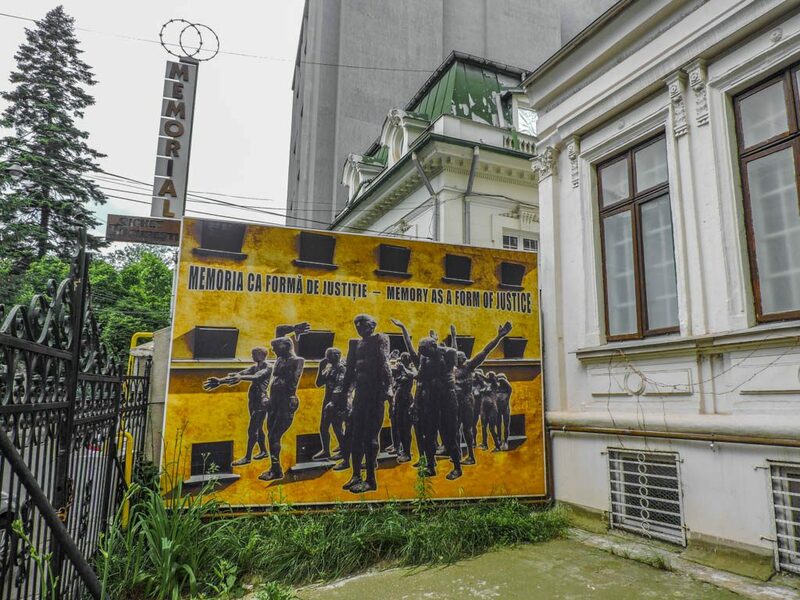 This Bucharest Communist Tour teaches you about the rise and fall of Ceausescu while you walk past communist era landmarks and political memorials. It covers life under the communist regime and life in Bucharest today including a visit to lesser-known communist style neighbourhoods, definitely one of the cultural travellers. Michael Jackson is an unlikely hero but he is to the Romanians! MJ was one of the first celebrities to visit Bucharest after the uprising. It was official Budapest, I mean Bucharest, was on the map! Yes, poor Michael made that mistake live on stage – whose bad?! So the next time someone asks ‘where is Bucharest?’ think of the King of Pop! What comes after the Old Town bars? The Hipster pubs. Checking out the local talent in Bucharest put my backpacking attire to shame. There are a lot of cool cats roaming the city streets and hanging out in Bucharest’s hipster bars. Partying is one of the more obvious things to do at night in Bucharest! Yes, you are there. Eden offers beer in bottles and on tap, wine, spirits and a calm environment to enjoy them in. 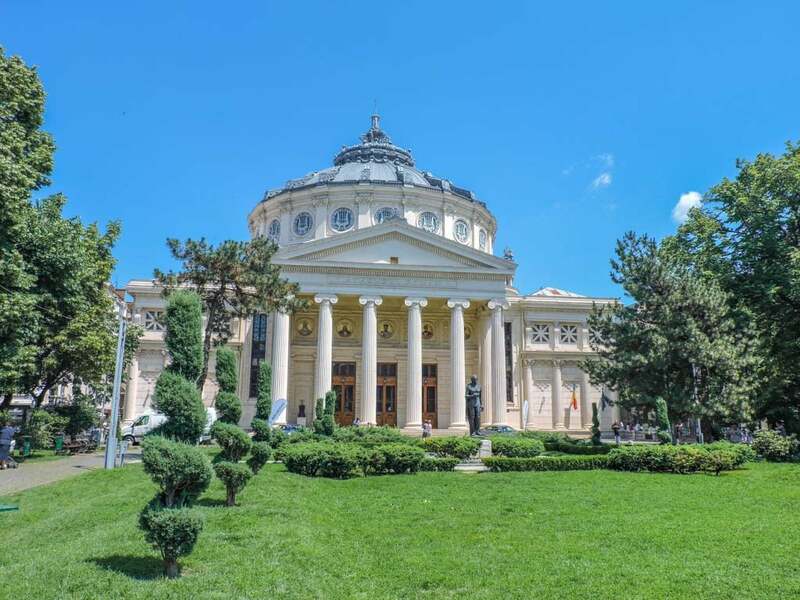 Eden receives 5 stars for things to do in Bucharest TripAdvisor. Top tip for things to do in Bucharest – nightlife is jumping here, seriously! Overpriced hipster alarm. We paid £5 cover fee to get into Check Control Club expecting some kind of action in exchange, a DJ, band, dance floor? Nope just t,wo bars for you to spend your hard earned cash on. We promptly left with our cover fee refunded. Watch the sun set over the copper rooftops with soothing summer tunes and a drink in hand at Pura Vida Sky Bar. As the Costa Rican saying goes this is a ‘pure life’! 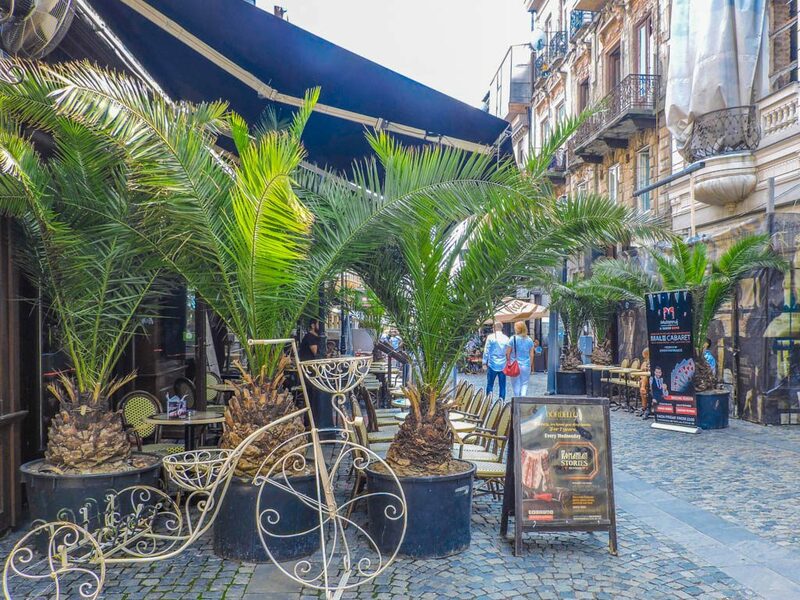 If you are travelling alone or are a social group why not hop aboard the booze train with this pub night crawl in Bucharest? Bar hop between four-five different themed pubs which also means four-five alcoholic shots in each. The tour takes place in the Old Town so if you managed to lose the crowd it won’t be hard to find them again! The first couple of bars are more relaxed, getting you in the mood for the remaining party places – dancing is not mandatory! Expect to be mixing with locals and holiday-makers alike during the four-hour bar crawl. 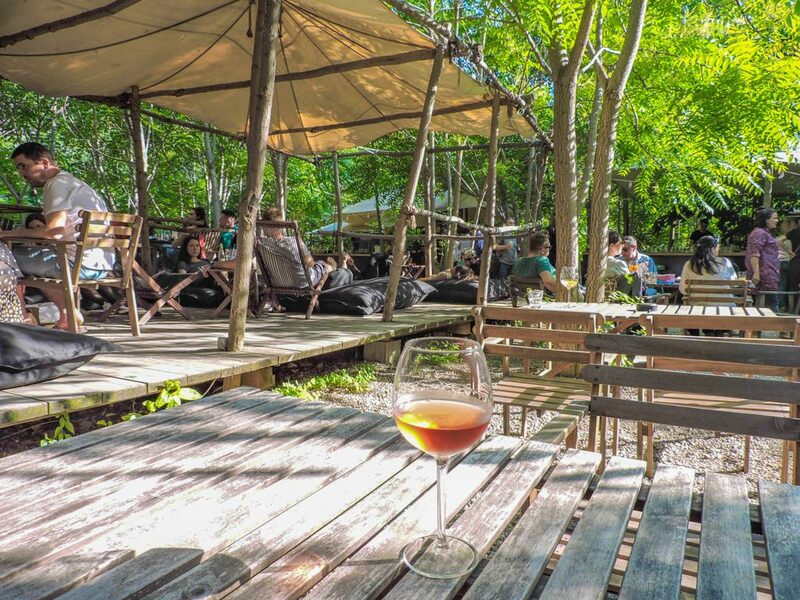 If you like to drink but partying isn’t your scene what about this more relaxed beer tour? During the four hours, you will sample four local craft beers in some of the hippest bars in Bucharest. The tour also takes you through the brewing process and offers authentic street food as well as the popular peasant platter. An additional two draft beers are also included while you chat about life in Bucharest, past and present with your local English speaking guide. Meeting point: In front of KFC Piata Romana, in Roman Square. 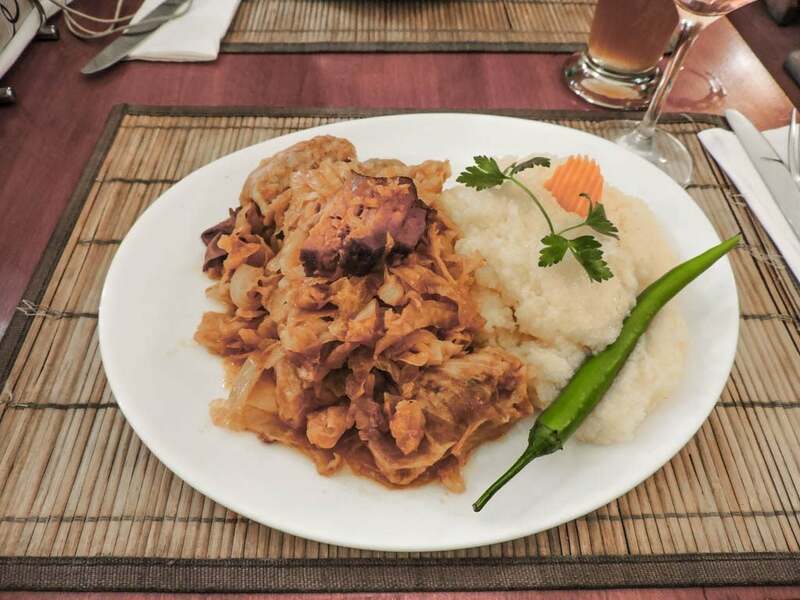 One of Romania’s national dishes is sarmale (pictured) which consists of ground meat and rice wrapped in cabbage. Locals state that the best sarmale is slowly cooked in an iron cauldron over a small fire. I tried some at La Mama (Strada Episcopiei 9) and was impressed. Very tasty. For a quick snack try plăcinte cu brânză dulce which is a fried bread and sweet cheese found in bakeries (and there are lots of them, always busy). There are hundreds of restaurants in Bucharest which serve local and international dishes. The streets of the Old Town are jam-packed with eateries. The area around Strada Episcopiei also has a few more options. If you are looking to grab a quick bite don’t miss the Food Hood (see above) or look for the shop window with the busiest queue – that is the bakery! Here’s a guide to vegan restaurants in Bucharest. 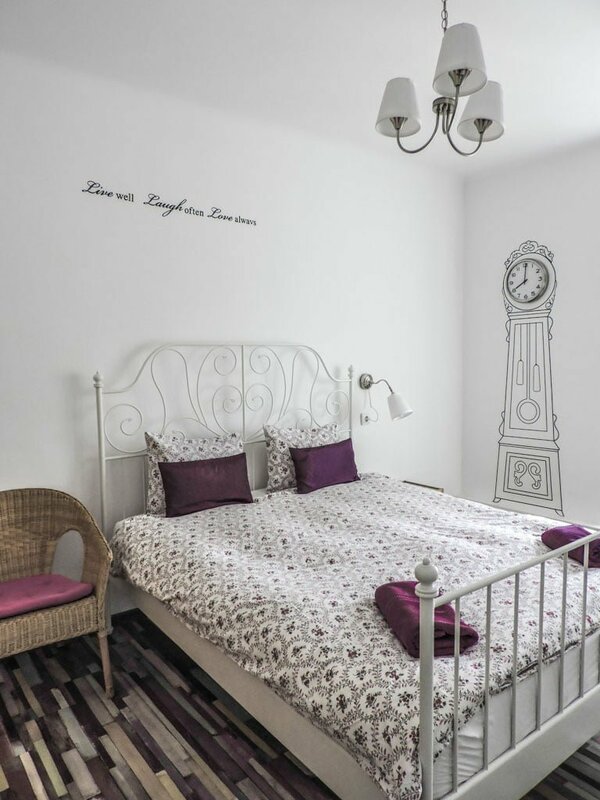 Accommodation in Bucharest is not expensive. Bucharest has a metro system which has been running since 1979. Trains start at 5am – 11pm every day of the week. A map of the metro system can be found here. Bucharest also has a number of bus, trams, and light rail routes. Über operates here as well as a taxi app called Speed Taxi Bucuresti or Speed Taxi Bucharest (reviews online not so hot). We used the Bucharest airport bus (783) during rush hour which was a nightmare – two hours to get to the city (£2 per person). On the way back, we ordered an Über which took 25 mins max (not rush hour / £5). Similar to surrounding countries, Romania, sees hot summers but cold winters. Summer runs from June to August and winter from December to February. 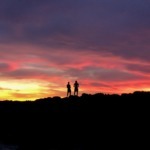 Summers average at a nice 27 – 29 degrees, whereas winter temperatures can fall to below 0. Rain falls mostly from March to May (spring) then again in September to November (autumn/fall) however summer often experiences violent storms. Bucharest what to do today? Bike tour! National Museum of Contemporary Art + many many more! There are lots of high street shops for every budget in Bucharest. Shop like a local! There is a flea market at Strada Mihai Bravu and a fresh foods market at Amzei Market. When considering things to buy in Bucharest, especially souvenirs check out the gift shops of the museums for authenticity. Marmot PreCip which folds into its own pocket, nifty! waterproof bag cover attached to my day bag in case I get caught out in a shower, you can tell we’re from Scotland! Although Romania is part of the European Union it does not use the Euro. The currency used in Romania is the Romanian leu. For the most up to date exchange rates click here. Romanian Tourism has a very helpful page of maps for not only Bucharest but also other towns and cities. WiFi in Bucharest is rapid! If there are any digital nomads out there looking for somewhere in Europe to touch base then I highly recommend working here. Little Bucharest also offers a co-working space, the first one in the city! 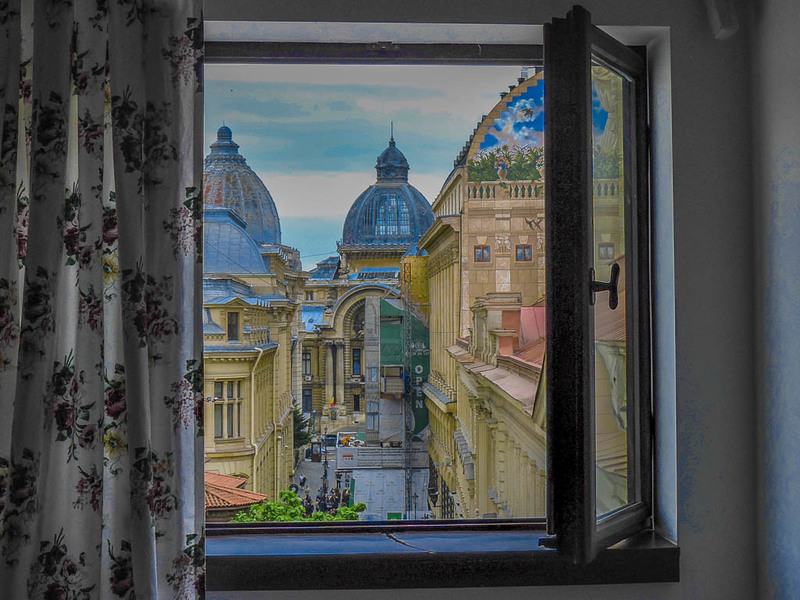 Why not stay longer, tell the world about Romania’s capital and create a Bucharest blog? As a travelling couple, we felt safe in Bucharest. If you are non-drinker then the Old Town at night may be one of the things you want to avoid in Bucharest. However, the Food Hood still has nice vibes and less bustle than the bars on the streets next to it. One of the main things to be careful with is stereotypes. Romanians are not Roma (or Romani / Romany) people (often referred to gypsies, but this term can be deemed as negative). The Roma people are traditionally a group who travel but are also found in Romania just to confuse matters. Romanian people are natives to the country Romania (although many Romani people were born in Romania too). Romanians speak the Romanian language, the Roma communities have their own language. Roma people are often discriminated against and EU states that it is each EU country’s responsibility to prevent this exclusion. Like many big cities, there are many people (mostly woman, with children) begging for money, some of which are Romani. Hooray! Bucharest has joined the rest of civilised Europe and enforced the smoking ban in public places. I wish their politicians would have a word with Bosnia and Herzegovina and Serbia who still allow smoking in bars, cafes, and restaurants. Gads! Three nights in Bucharest was just a taster session for Romania. 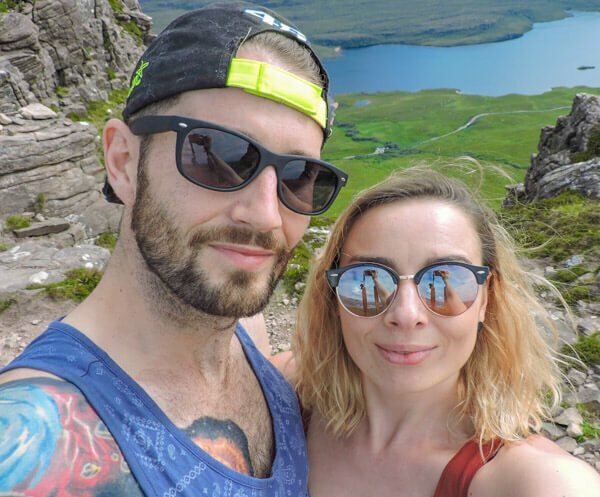 We are keen to head back next summer to tick off our list of things to see outside Bucharest which includes; hiking, chilling at the beach, and checking out Dracula’s castle near Bran of course! What were your 10 best things to do in Bucharest? Wondering where the castles are? Fancy a dip in the Black Sea? In need of a hike in the mountains? If you have more than 2-3 days in Bucharest you might want to get out of the city. Why not pin to your Romania Pinterest board? Have you been to Bucharest? Thanks to Little Bucharest and Slow Tours for a lovely long weekend in Bucharest, our own opinions as always. Looks awesome. Think I might buch a trip there. I could do with a rest. Waaaaay! That’s a good one. Buch quick before the secret is out. Great post Gemma! Like the longer post full of detail:) Looking forward to getting to Bucharest later this year. Cheers Jub, these posts are taking me twice as long but I do feel much happier with the content! I am very jealous that you are going to Bucharest – really keen to get back to Romania after a quick three day trip! 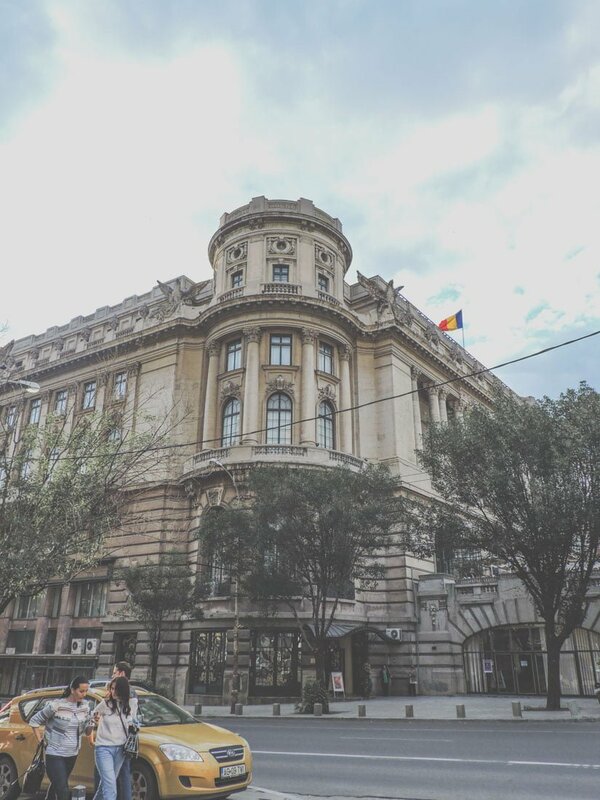 Very detailed post with great information, invaluable guide to Bucharest. Bucharest is so colourful and charming. Would love to hop on a bicycle and cycle around the city. It really is, I am glad we share the same thoughts on Bucharest and thank you for the kind words. I would just like to say you need to be careful on bicycles. The traffic is pretty bad and the driving standards is not so great. Thanks for that tip. We had a great guide so there wasn’t any concern. We definitely are aware when we are cycling after what happened in Lima, Peru! Looks beautiful! Awesome guide! Hopefully we can make it there before the secret is out! Yes! Good plan. Thanks for reading. Oh definitely Ria – thanks for reading and make sure you get there! Nothing is showing for me Alex, could you tell me where you are seeing the missing image. Appreciate it, thanks. Hi! I recently came across your website, and specifically this wonderful article about Bucharest- the city I live in. I too believe this destination needs more people promoting it. Cheers! Happy to be someone who discovered it before the masses! Thanks for reading. Ah Kassie, Bucharest was such a surprise city! Let me know how you get on. 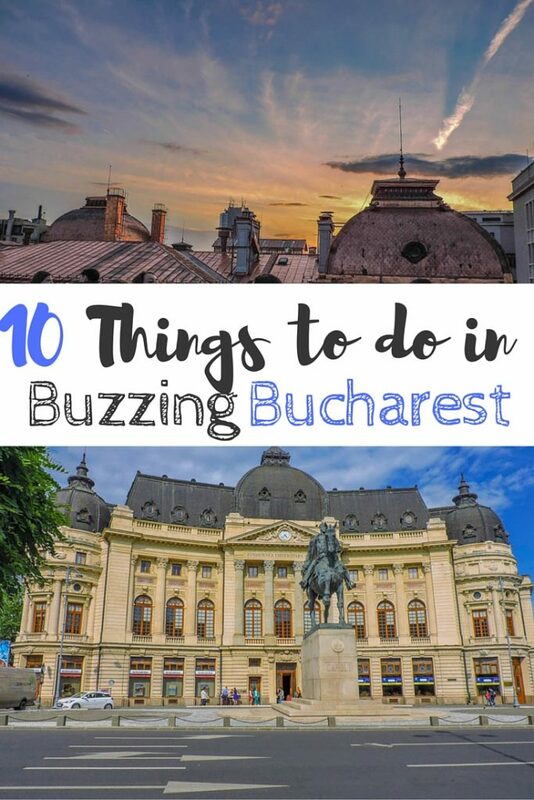 American here, working on and off in Bucharest, and I must say it is not easy finding things to do in this city via a quick Google search, other than a few of the obvious sites to see. I found this blog and it’s been super helpful, especially as someone who likes to have a beverage or 2 in his down time. Thanks! Cheers Tripp! I’d agree, I looked before we flew from Serbia as I knew nothing about the city and the articles I did find were very down (and dated!) on Bucharest which is mental because the city is a lot of fun. Come back with any new discoveries! Nice post, I’m really happy you covered my home town. Honestly had such a great time. It’s not going with no expectations to a city every now and again. Have you noticed it change much? I really did love it, has made me want to see more of Romania too! Ooo thanks for the tip Adrian! I need to see more of Romania too. Way to get a guy hyped up! I was on the fence about whether to add Bucharest to my summer travels, but i’m completely sold after this. Thanks for a detailed, well-written article! Abbbbssssolutely was not what I expected! I need to get back to Romania and explore more of it. Thanks for the nice words, have a great time and come back and tell me how you get on. Hipsters is what I saw in Bucharest and Constanta for that matter, beard rocking backpack kid dancing hipsters and their glasses wearing counterparts. Our experience if Romania appears to be vastly different to your own, we are still here now with two rainy days left to entertain our toddler, stopped by for some tips. Zoos, castles and parks a plenty and how to negotiate Transylvania and a 7 hour drive to the beach with a little one… Another holiday is due I expect 🙂 enjoyed reading your young guide and I wished a little for the freedom to explore once more. Some of the beards are pretty impressive eh?! 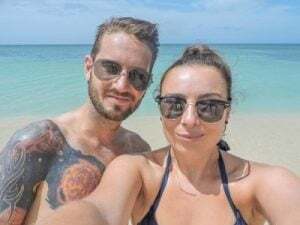 Definitely want to see more of Romania so jealous of your road trip and beach visit. I hope the weather improves!